The Canon IXUS 155 has been designed to be appealing to look at and very easy to use. However, this sexiness with the point and shoot mentality isn't necessarily enough so the camera adds a few other bits and bobs to lure you up from the IXUS 150. It's a very easy camera to use and as such will suit most people in a family from young to old, technophobe to tech savvy. The compact design will slip easily into a pocket or bag which makes it great for days out or nights on the town. If you're going on holiday, the long zoom and fast start up mode will mean you're less likely to lose those precious moments. The part that the IXUS as a range fails at this point is the external battery charger. It's additional weight to carry and the plug is the majority of it because it's a standard plug, not a custom made one for the camera range. 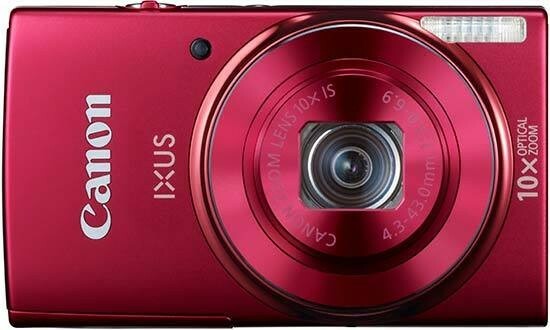 IXUS have always been built to a good standard and the 155 doesn't let us down at this point. There are naturally areas for improvement and in the 155, it could do with a locking mechanism on the battery door. While the door shouldn't just drop open of its own accord, it's these little points that make a camera special. We do like how the rubber cover of the USB port has been made into a part of the design for the entire right side of the camera. Image quality of day to day pictures is very good. We are very pleased with the pictures we got through the test and not just because we're amazing photographers. Noise does come in a bit too early, but let's keep in mind that while it's a member of a prestige range, it's still a camera priced at £110 which isn't expensive. The Canon IXUS 155 is modestly priced for the features you get from a brand name that has an excellent reputation. It doesn't sully that reputation and our only gripes are with the amount of chromatic aberration, which is down to sub-standard lenses, and noise coming through a little too early for our liking. Have a look at the samples and if you can live with it, then take a look at this camera.